My-my mouth. 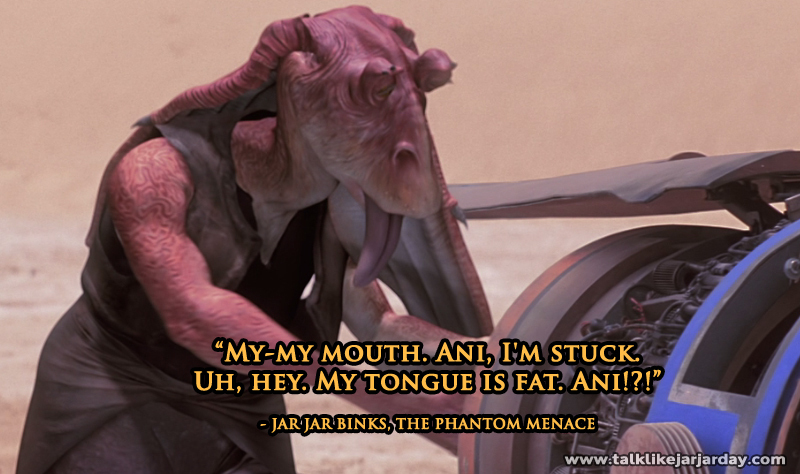 Ani, I'm stuck. Uh, hey. My tongue is fat. 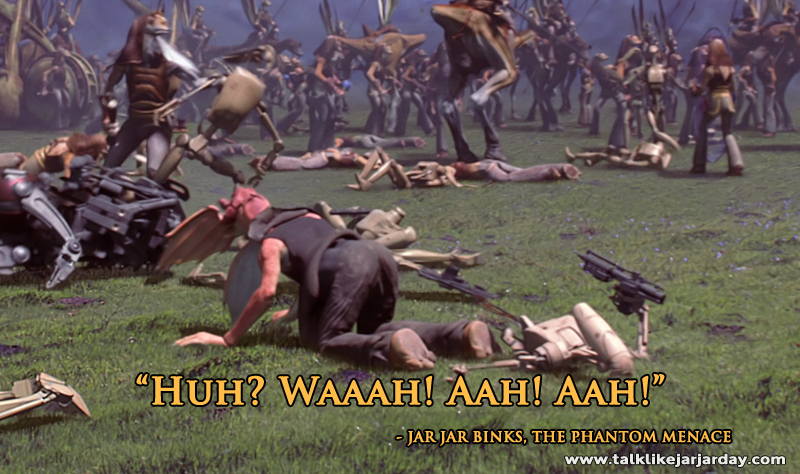 Ani!?! 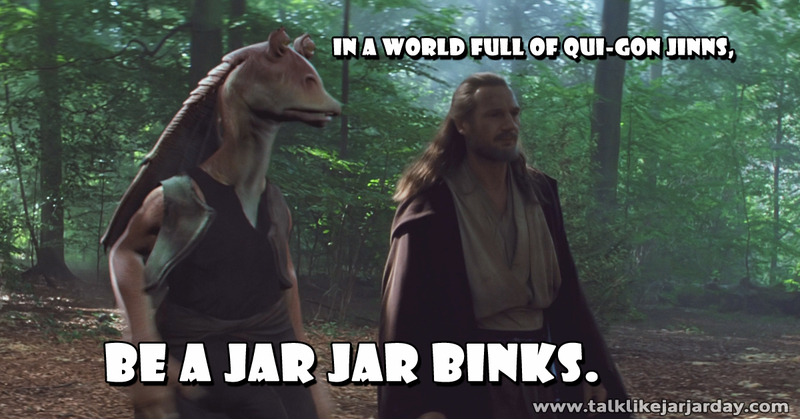 In a world full of Qui-Gon Jinns, be a Jar Jar Binks. 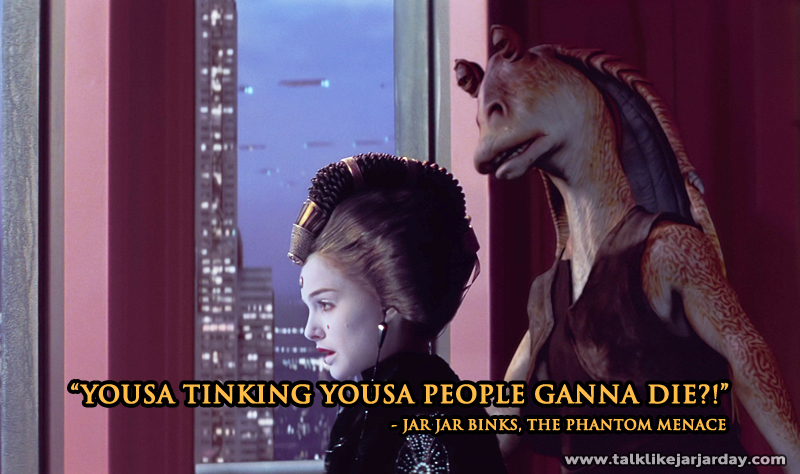 Yousa Tinking Yousa People Ganna Die?! Dissen Berry Berry Bad. Oh! 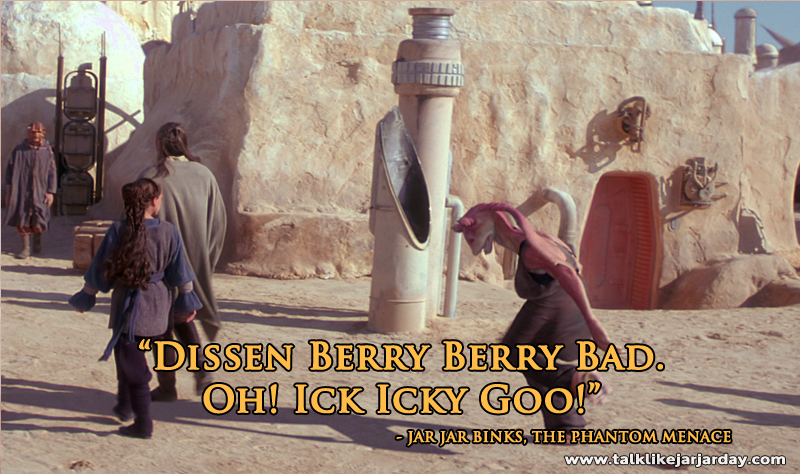 Ick Icky Goo!